Performance Management - Helping the mining industry find productivity gains. As Western Australia’s mining sector returned to growth in 2017, HR departments across the sector were getting to grips with a new problem: unlike previous booms, the industry now needs talented workers who are willing to embrace and learn new skills as they build a long term career in mining. 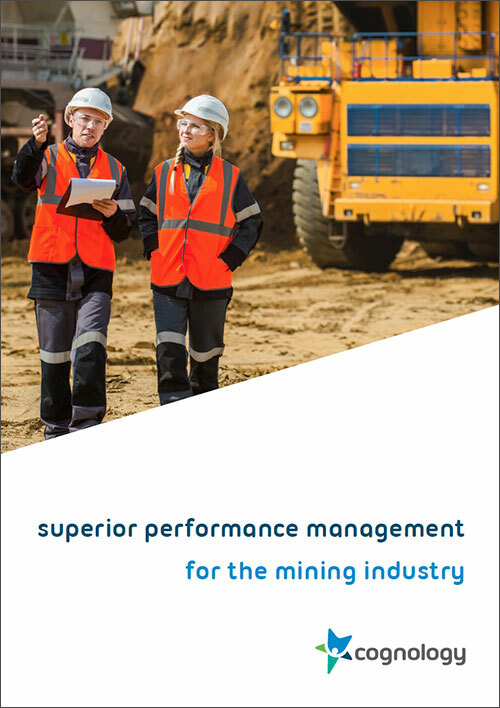 To find out more about implementing performance management in the mining sector, and using it to effectively drive incremental performance gains from employees across all aspects of the industry, download our latest whitepaper now. Far more so than during even the last upturn mining is now a technical and automated industry, where work is becoming more skilled and individual employees are responsible for ever greater production volumes. With the industry also seeking to make productivity gains to stay ahead of global competition, modern mining needs everyone from machine operators to headquarters staff to be smart, motivated workers. On the one hand, this makes recruitment more complicated. But on the other hand, the industry is escaping the boom and bust cycle that has long characterised it because long term, skilled employees can use technology to increase production as required without the need to take on large numbers of new staff. To get to this stage, today’s mining companies need to invest in their people. They must recruit skilled and motivated workers and ensure they remain committed to continuous standards of improvement, as well as keeping up to date with advances in techniques, machinery and regulations. And they need to retain these valuable trained workers and keep them motivated. Modern performance management, tailored specifically to the resources sector, has the potential to help miners meet these human resources challenges, and build a culture where long term staff feel valued and remain committed to improving their performance at the same company year after year. One of the biggest problems with traditional performance management is that organisations have lost sight of why they actually do it. They have taken a process aimed at getting the best out of people and turned it into a bureaucratic nightmare. Mining has much to gain from adopting performance management, but the traditional model of rigid annual reviews and fixed questions is already dated in other industries and is of little use to the resources sector. Improved methods are needed, both to tackle the physical challenges faced by miners’ HR departments, and to address the unique training and support needs of a rapidly evolving sector. A good performance management system should link employee goals and behaviours to the organization’s strategic plan and support business objectives. If goals are developed properly, employee achievements are more easily associated with their accomplishments – which then may be recognized and rewarded. As well as the need to adopt up-to-date forms of performance management, miners and their HR departments face three problems unique to their sector: Work environment scale makes it hard to meet workers face to face; the industry’s demographics mean employees are often not equipped with the educational background to get the most out of traditional performance reviews; and the sheer complexity of mines makes cross-functional collaboration hard to implement. For these reasons, Cognology has developed a performance management model for the mining sector which prioritizes competencies. A competency is a set of skills, knowledge, abilities, attributes, experience, personality traits and motivators that can be positively correlated with job performance. A mining company can develop a competency framework that provides direction as to the behaviours expected at different levels and in different positions throughout the organisation.